Meet the Sport. 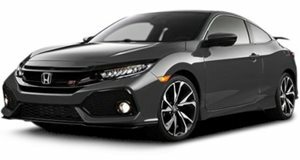 It’s powered by nearly the same turbocharged 1.5-liter four-cylinder found in the new Civic, which is good for 180 hp and up to 177 lb-ft of torque, depending on transmission. Speaking of which, it can be had with a six-speed manual or CVT. Sounds pretty sweet, right? Indeed, but here’s the problem: it’s not for America. Honda has just released a few photos and details of its new HR-V Sport, a Europe-only hot little crossover, so to speak. It also features upgraded shocks and a few visual enhancements like black wheels, slightly more aggressive bodywork, and more supportive seats with black and dark red upholstery. To us, this sounds like it’d make the ideal here in the US, but as of now, there are no plans to bring it overseas. That’s really a bummer because America needs more fun to drive crossovers and Honda would be the ideal automaker to deliver on that. 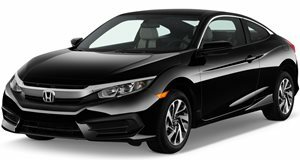 Given that crossovers are quickly outpacing traditional coupe and sedan sales, shouldn’t Honda (and others) begin the hot crossover segment? Yes. Fortunately, there are signs the best is yet to come. For example, there’s the new and, possibly, an . If the Edge ST sells well then chances are Ford Performance could apply its magic to future smaller crossovers too. 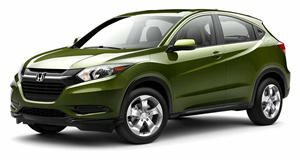 In the meantime, if the Europe-bound Honda HR-V Sport becomes a success, then we don’t see any reason why it can’t come here. It may be small on the outside, but the HR-V is roomy on the inside.